Before award-winning novelist, short-story writer, and essayist Richard Bausch, who holds the Moss Chair of Excellence in the creative writing program at the University of Memphis, makes his move, he's bidding Memphis a fitting farewell. The move will be to Chapman University's Wilkinson College of the Humanities in Orange, California, outside Los Angeles. The farewell will be in the form of a reading and booksigning on Wednesday, April 25th, inside the U of M's University Center at 8 p.m.
Any end of semester is bound to be a busy time for students and teachers alike. This spring has been extra busy for Bausch. He's overseen student work. He and his wife Lisa have put their house up for a sale (and sold it). And this month, Bausch had a workshop in the Bahamas to lead. But he's made time for a few thoughts on the U of M's writing program, which he joined in 2005. And he's had some thoughts on Memphis as well. The "Working Title Reading Series," presented by the University of Memphis creative writing program, is already at it again. 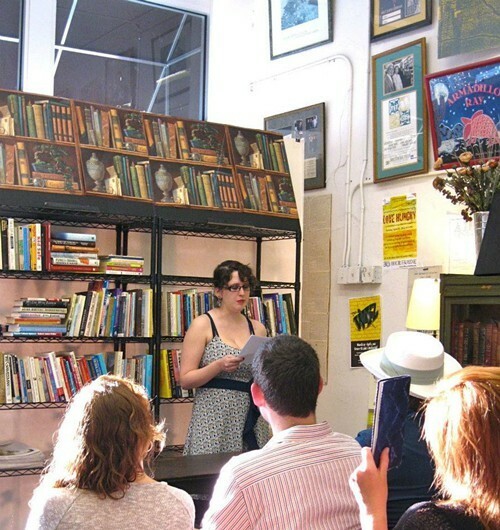 After a successful evening of student readings in March, the series continues with another set of students, who will be reading from their work at Burke's Book Store on Friday, April 20th, at 6:30 p.m.
On tap: three MFA candidates from the program's three genres: Scott Carter (fiction), a recent finalist in Narrative Magazine's "30 Below" competition; Devon Taylor (creative nonfiction), this semester's senior creative nonfiction editor for The Pinch, the U of M's semiannual literary journal; and Tara Mae Mulroy (poetry), managing editor and marketing director for the spring 2012 issue of The Pinch. Student Tom Useted will act as emcee for the evening. 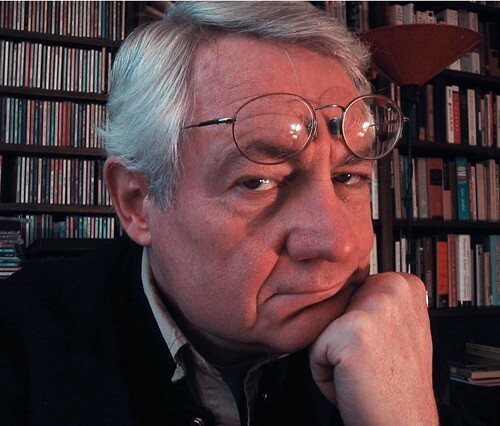 On Thursday, April 12th, the River City Writers Series at the University of Memphis welcomes essayist, journalist, humorist, and author of, all told, 22 books Roy Blount Jr. He'll be reading from his work (and perhaps from his latest work, Alphabetter Juice: or, The Joy of Text?) at 8 p.m. in the school's University Center (Room 300). His books will be available for sale, Blount will sign them, refreshments will be served, and a book raffle will be held. The next day, Friday the 13th, at 10:30 a.m., Blount will be interviewed in Patterson Hall (Room 456). Thursday's and Friday's events are free and open to the public. For more information, call 678-2651 or contact U of M associate professor of English Cary Holladay at holladay@memphis.edu. 1st place: Daniel Zuo, of White Station High School here in Memphis, who wrote to Dr. Seuss about The Cat in the Hat. 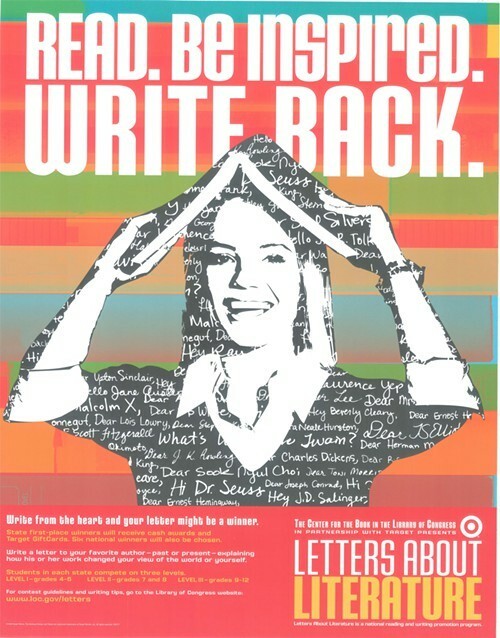 2nd place: Hanna Lustig, of Houston High School in Germantown. Hanna's letter was to Ray Bradbury about his novel Dandelion Wine. 3rd place: Victoria Gray, of Germantown High School, who also wrote to Dr. Seuss, in response to Did I Ever Tell You How Lucky You Are?. Congratulations to author Paul Russell, who was interviewed in these pages a few months back. 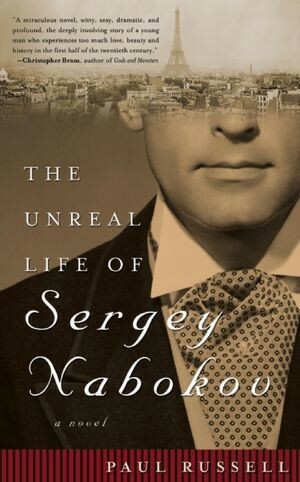 His novel The Unreal Life of Sergey Nabokov (Cleis Press) has been nominated for a Lambda Literary Award in the category of gay fiction, the winner to be announced June 4th. And from the Publishing Triangle (an association of lesbian and gay men in publishing), it's a finalist for the Ferro-Grumley Award in gay fiction, the winner to be announced April 18th. "As you can imagine, I'm very pleased by the nominations," Russell said by email this week and on the very day he found out that his novel was also a finalist for ForeWord's Book of the Year Award in the lesbian/gay fiction category. ForeWord, a trade journal for librarians and booksellers that recognizes titles of excellence from independent publishers, will announce this year's book-of-the-year winners at the American Library Association's annual conference in June. "Nice to see that having gone with a small press like Cleis didn't mean that my book got completely ignored," Russell added. "I think more and more literary fiction will appear from such presses in the future. But then, Ulysses first appeared in The Little Review, so how much really has changed?"